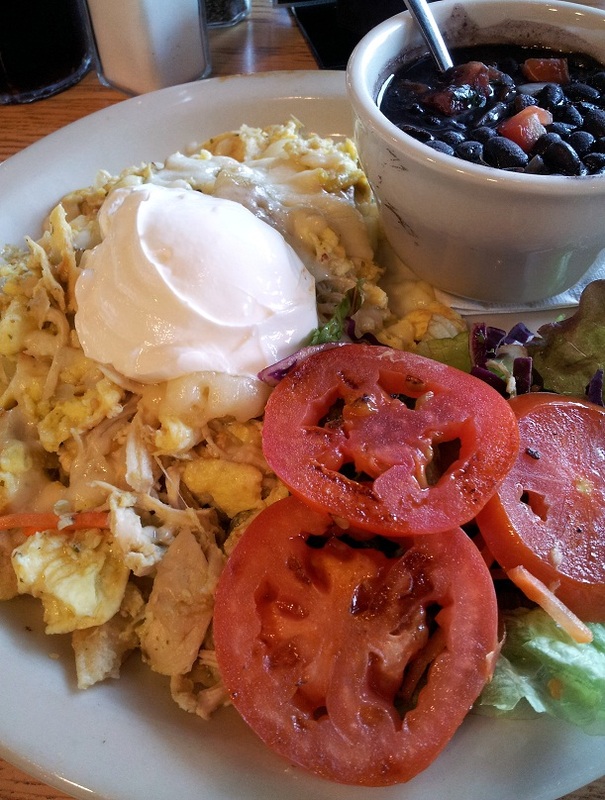 The chilaquiles at Cafe Brazil are one of our favorite weekend breakfasts. 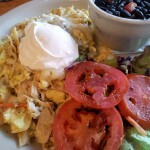 There are many different variations and recipes for chilaquiles (we should know, we’ve researched recipes to attempt to make them at home), but Cafe Brazil makes theirs with scrambled eggs, tomatillo sauce, onions, jack cheese, tortilla chips and your choice of freshly pulled chicken, chorizo or sliced smoked turkey (we usually get chicken.) Simple, savory Mexican comfort food. 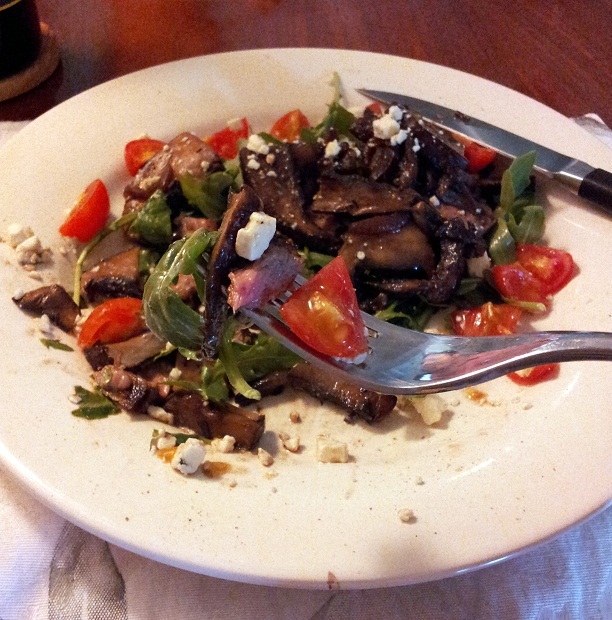 We tried out a new steak salad recipe: pan-seared strip steaks with sauteed portobello mushrooms and red onion, gorgonzola and arugula. The recipe didn’t call for it, but we added some tomatoes from our garden. 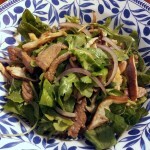 All the flavors came together really well, and with the saute and steak juices, no dressing was necessary for the arugula. 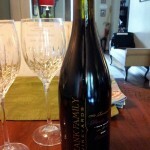 Some days call for a special bottle of wine. 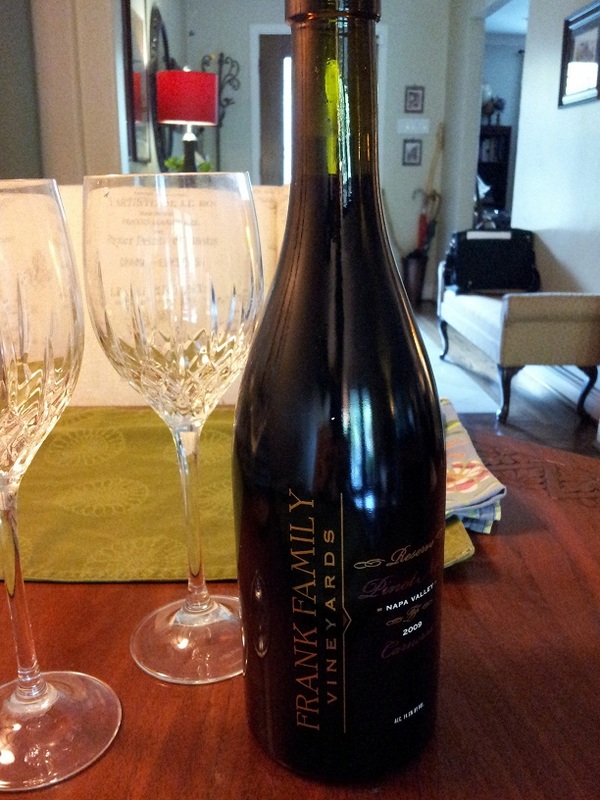 We raided our wine fridge one night this week and enjoyed a nice bottle of pinot noir from the Frank Family Vineyard, which we visited last year during our trip to Napa. 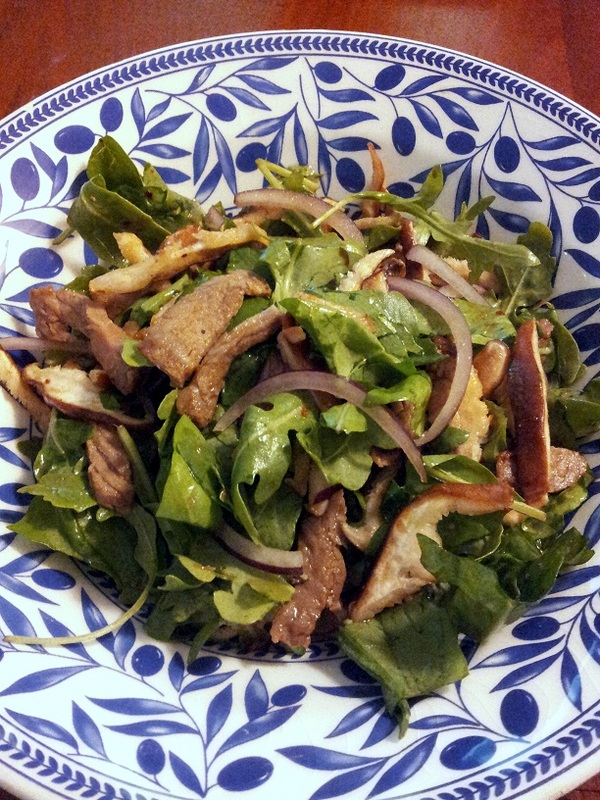 The pan-seared strip steak made a second appearance, dressed up a little differently: combined with fresh red onion slivers, sliced shiitake mushrooms, spinach and arugula and tossed with a variation of the Asian-style dressing from this spinach and shrimp salad recipe. Speaking of spinach, we’ve been adding a handful of spinach leaves to our smoothies lately. Although it turns the smoothie green and makes it look like it would taste vegetable-y, you can’t taste the spinach at all. I know, I didn’t believe it either, until I tasted it. 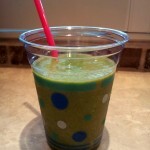 Seriously — if the smoothie wasn’t green, you would have no idea there was any spinach in there. Our current favorite smoothie is made with almond milk, banana, peaches (or nectarines), pineapple (and/or mango if we have it), chia seeds and spinach. These are questions rather than comments. We are in the market for a smoothie-maker and have noticed a few posts about smoothies. Can you offer us any advice? Are there any features in the smoothie-maker that you think are most important to look for? 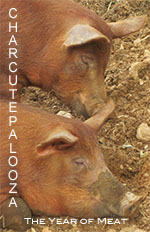 Can you suggest a particular model that is your favorite? 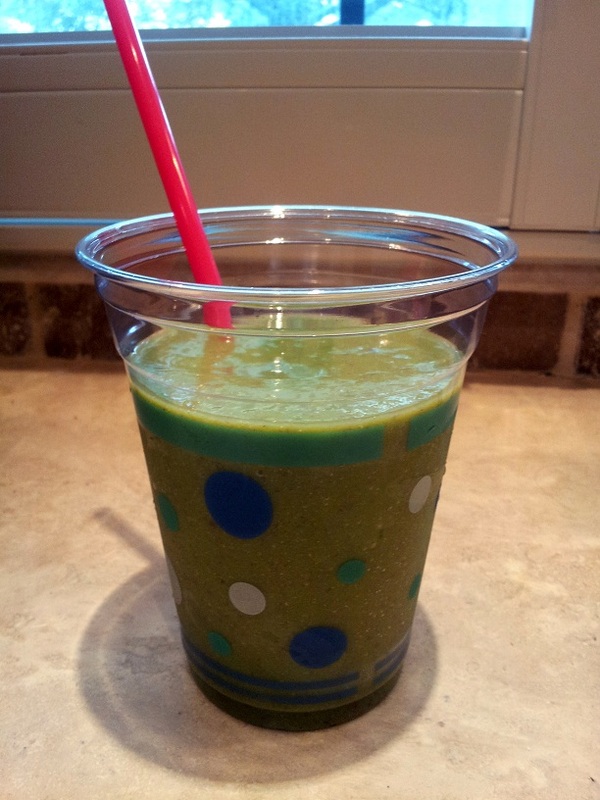 And last question relates to the Fri Faves spinach smoothie .. do the chia seeds “blend” to a smoother consistency or do you have a seedy texture? Hi Cary! Our old blender was a KitchenAid, which we liked a lot, but when it wore out we wanted to upgrade to one that could handle frozen fruit better. The online debates between the Vitamix and Blendtec are a little overwhelming, so we didn’t do a ton of research to differentiate between the two, especially since we really only use it to make smoothies a few times per week. We ultimately decided to go with the Blendtec because it fits under the cabinet on the kitchen counter (the Vitamix is taller and wouldn’t have fit with its lid on.) So far we’ve been happy with the Blendtec. We’ve only used it for smoothies (it blends solidly frozen fruit like a champ), but it has other pre-sets (ice cream, juices, soups, sauces, etc.) As for the chia seeds, they are really tiny and I only put in about a tablespoon, so it’s tough to say whether they really blend up or just get well distributed. But we don’t notice any seedy texture when we add them. Hope that helps!